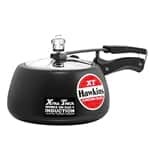 I thought it would be helpful to create a page and links for the kitchen gadgets I use in my kitchen. I do not want to promote my self but still, want to share that I I cook fast and effortless. My Mother in law appreciates me on this as well. Many ask for the secret of cooking faster. Prior planning and the proper kitchen gadgets make this all easy. Selecting the right device for the right job is complicated and confusing. Here, I share the kitchen gadgets what I use personally in my kitchen and highly recommend this. I feel it is worth mentioning as it may be useful for those who are building up their kitchen. Disclaimer: Please note that some of the links below are affiliate links and I will earn a small percentage of commission if you purchase through those links. 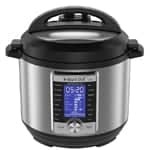 Instant pot Ultra 6qt 10 in 1 multi-use programmable pressure cooker Indian cooking is a lot about lentils and rice, where pressure cooking is closely associated with it. And Instant Pot is the modern innovation for the pressure cooker. It is working on the timer system. So the operation is simple, set the timer and forget about it. You get the consistent result every time you make. It has many features like delay start, and keep warm options. These features are great for busy moms in their daily schedule. I would highly recommend this, as I feel it is convenient for me to cook and clean. 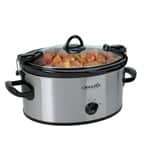 6qt cook and carry slow cooker: This works great if you wish to follow our ancestor’s footpath. Slow cooking always blooms up the flavors of the ingredients to its maximum extent. 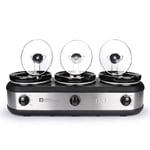 On the other hand, I also use these in the parties as it can keep the food warmer for a long time without spoiling the taste of the food. I find it convenient and also this looks great on the party tables. These are great for cooking meat and lentils. Three tray slow cooker. It is slow cooker and great to be on the party buffet table. Can keep multiple dishes warm at the same time it looks elegant on the party and family gatherings. I use them a lot, as I can transfer the food immediately to the pots, and thereby have time for other stuff. 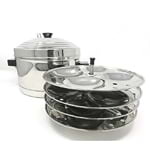 Four rack Idli cooker This is the most essential for building a South Indian kitchen. I brought mine from India. But you get here in the USA, in the online store. Getting here is easy where we can avoid packing and carrying it all the way from India. 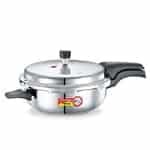 Prestige Delux pressure pan, Pan style pressure cooker,I have this pan style pressure cooker for the recipes where sauteing and pressure cooking possible in the same pan. Indian cuisine is unimaginable without the pressure cooker. I use two styles of pressure cooker. One is pan style and other in pot style. Both do it proper duties. Preethi Mixer Grinder The motor is mighty to make my coconut chutney silky as possible. The engine is powerful to make Idli, dosa batter. Til I got the wet grinder, I was using this mixer grinder to make Idli and dosa. I was happy with the results; idli is soft and spongy like the wet grinder’s result. 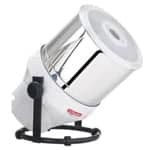 Ultra Grind 2l table top wet grinder. If you are looking tabletop version, then I would suggest this model. This is the most popular brand when we talk about wet grinders, this what I was using before the tiltable grinder. 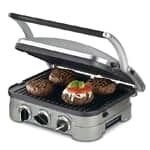 Cuisinart 5 in 1 griddleWe love grilled food, and we cannot miss those in the winter months. 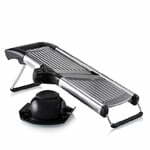 This grill comes to rescue to make grilled food inside the kitchen. It is handier and occupies less space, where we can store on the kitchen counter or inside the cabinet. 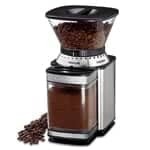 Cuisinart Supreme Grind Automatic Burr Mill My husband is a coffee lover, If you see me in th>Mr.Coffee 12 Cup coffee grindermaking him the coffee. 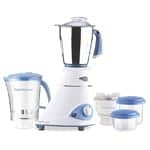 And this coffee grinder is one the addition to my kitchen to make the most aromatic coffee. I grind the coffee bean and store it for a week in an airtight container. I love this as it also saves some money that we spent on coffee bars. 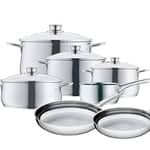 WMF 11 piece cookware I love to have a shape in my cookware, I wanted perfect cookware where I can use the same for the serving purposes. 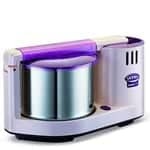 This is great for the price, does not have bolts or rivet inside the pot, hence chances of getting bacteria inside is minimum. Perfect for making rice, sauces, and soups. And the small saucepan is easier for me to make chai. 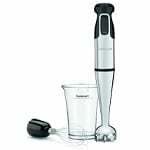 Cuisineart Stainless Steel Handblender These are time savers when I make gravies, soups, and dals. I’m using it for almost eight years, and I’m happy with it. It cuts the cooking time enormously. Where typically, you do not need to bring the ingredients to room temperature before blending them. So this resting time is zero, as you can grind when the food is still hot, that too in the same pan. So it cuts not only the time but also the cleaning job. 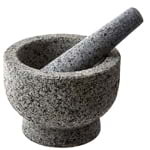 Granite mortar and pestle This comes handy when for all the small jobs. It is versatile and does many works like dabbing ginger or garlic or grinding cardamom. It occupies less space so that you may keep it on the kitchen counter as a decorative stuff or you may store it in the cabinets. Mandelin: Makes most of the vegetarian cooking easier. Though food processor and the sliver does the same job. I feel slicer is the winner for doing the slicing works. I feel more convenient and less manual work. 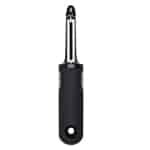 Vegetable Peeler whether it is potato or carrot, this peeler comes to rescue. Though I do not need it every day, this one is considered as the essential in the kitchen.